If you were having a hard time choosing between making pumpkin cinnamon rolls, pumpkin pancakes, and cinnamon roll pancakes for breakfast, Melissa kicked the need to make that choice in the bud with her yummy pumpkin cinnamon roll pancakes. You might need a nap after looking at the yummy pictures though. 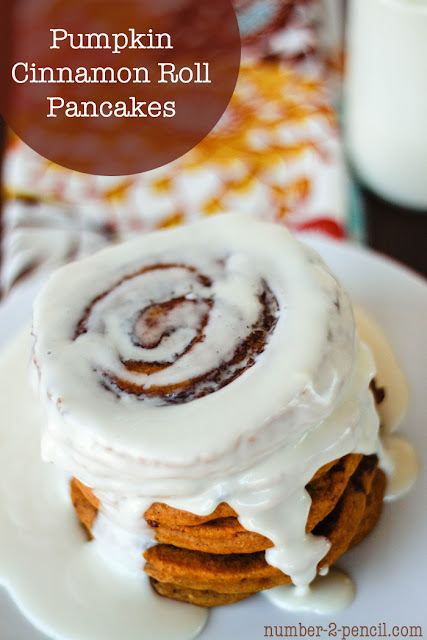 Melissa shared her pumpkin cinnamon roll pancake recipe over at I Heart Nap Time.